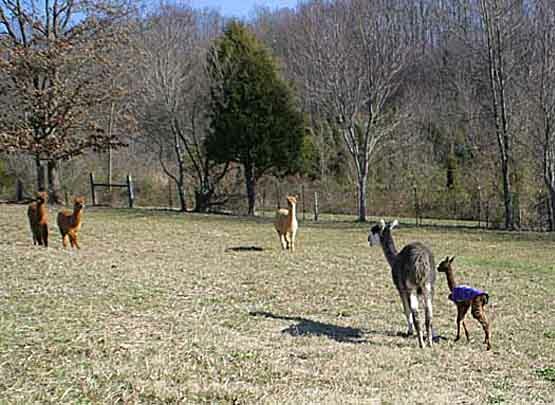 We'd love to have you come visit our alpacas. Please feel free to call or email and we'll be glad to arrange a visit at a time that suits you best. C'mon over. You'll have a great time. Click here to return to the top of this page: Sales List.